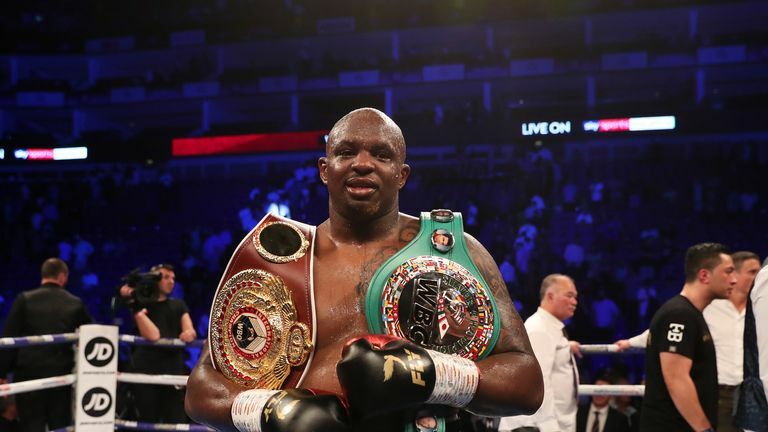 Dillian Whyte has analysed his main rivals in the heavyweight division and explains how he plans to beat them. 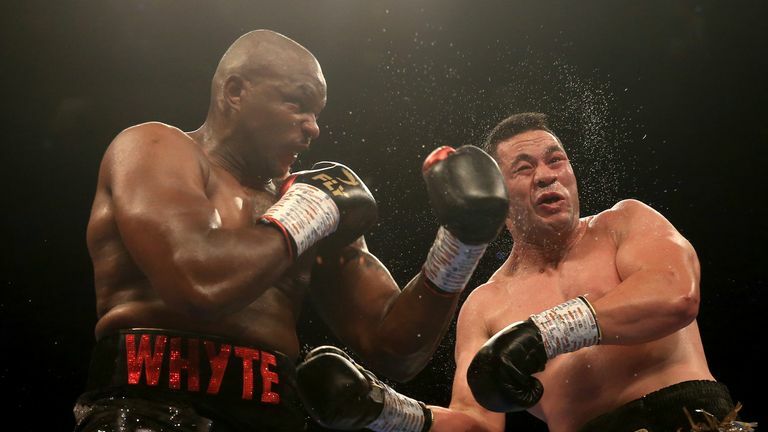 Dillian Whyte targets Tyson Fury or Manuel Charr before facing Anthony Joshua next year. Whyte has put himself right in the mix for a world title shot after a hard-fought unanimous decision victory over Joseph Parker at The O2 on Saturday. 'The Body Snatcher' recently revealed that he wants to fight either Tyson Fury or Manuel Charr in December before taking on Anthony Joshua in a blockbuster Wembley rematch, but how does he rate his rivals at the top? My top five heavyweights would be Anthony Joshua, Deontay Wilder, me, Tyson Fury and Joseph Parker. It's the biggest fight out there at the minute, let's see if we can get it made. It gives away my strategy if I say how I would beat him, I just know I will beat him when the time comes. I always want to fight AJ, he'll be at the top of my list for my whole life. Where me and Joshua are concerned, it doesn't matter where it is, it could be an empty room, it will still be the same nerve and tension, the same everything. It could be one person, 10 people or 10,000 people watching, it's the same. We have that inner thing, we just want to hurt each other. Wilder does not want to fight anyone who can hurt him, someone dangerous. I'm proven and resilient. With Wilder, I just have to clip him once or twice and it'll be over, he will not be able to stand up to the pressure and power I will bring. You've seen the power I carry late on in the fight and I know he would not be able to deal with it. Fury is a joker, he's a mess, mentally and physically, he's irrelevant right now. He's saying he wants to fight Wilder, I think he is talking rubbish. If he wants a real fight, I am here, let's get it on in December. It's more realistic, him fighting me. We can get it on in December, it'll have the money and hype, it's a massive fight. If he is serious then he knows where I am at so let's get it on. Parker did great against me, it's the best I've seen of him so far. He turned up and threw shots with me, stood in the pocket, we traded, there were knockdowns and we carried on fighting. He will do well in the future and carry on fighting. He beats 90 per cent of the heavyweights out there. I think he can definitely become a world champion again, he has every single ingredient there is and is still learning. Sharing the ring with guys like me will only propel him to do better in the future. Dereck Chisora did great against Carlos Takam, the donkey showed he's still got a strong kick. I have nothing bad to say about him, I thought he would beat Takam and he did. I'm happy for him and happy he is doing well. I haven't got anything bad to say about someone doing well for himself, I'm proud of him. Who should Whyte fight next? Anything is possible down the line, we do have a rivalry, but he is a bit on the back-burner as we are chasing bigger and better things. If those big things don't come to fruition then of course we will go again with 'Del Boy'. As for Jarrell 'Big Baby' Miller, he's irrelevant at the moment and I'm above him. It is the heavyweight division, things change and these fights can happen. Let's wait and see.